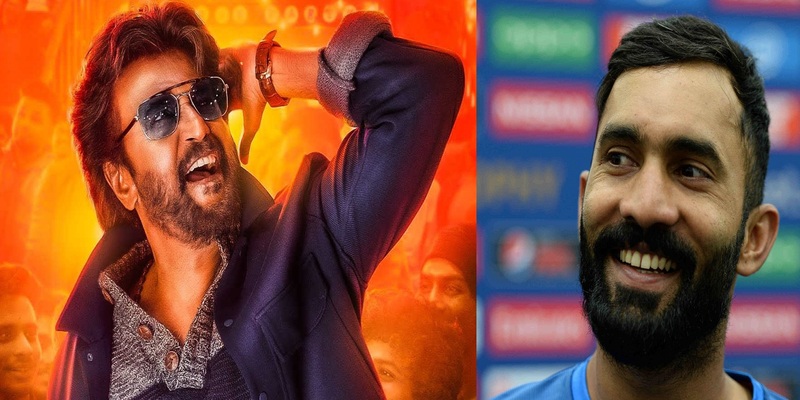 Home > Latest News > Cricketer Dinesh Karthik is the latest to shower praise on director Kathik Subbaraj for his film, Petta. Both Superstar Rajinikanth’s Petta and Ajith’s Viswasam released on January 10. Both films have been doing well at the box office. Petta features Rajinikanth, Simran, Trisha, Nawazuddin Siddique, Vijay Sethupathi, Sasikumar and others.